Did you know that you can earn a nice bonus by helping Wärtsilä find good new staff? Read on to find out how it works. The job market is shrinking, a trend that unfortunately will continue in coming years. More and more, we're looking for alternative ways of finding good personnel. When all the while, that is what characterises Wärtsilä: good people in the right place. 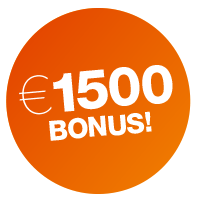 That's why you can earn a nice bonus if you're able to propose someone from your network: no less than 1500 euros! This referral bonus as we call it has been in existence for some time, but has recently been revived. And the amount increased. Here are the most important rules of the game. You can also look them up in the Employee Manual. The scheme is open to every employee of Wärtsilä Netherlands, with the exception of, for example, the manager of the department in which there is a vacancy. The new employee must be offered a permanent or an annual contract following their probationary period. You may not actively recruit from contacts. By contacts, we mean all third parties with whom we have a business relationship, such as clients, partners, suppliers etc. A candidate can be proposed by only one person. Contracts that are the result of a temping agency assignment are excluded from the bonus scheme. Internal transfers are excluded from the bonus scheme. You mention our vacancy (or vacancies) to a possible candidate. You send an email with the candidate's name to the HR manager or consultant at the relevant branch, and announce that the candidate will be applying. Bear in mind: if your email reaches us later than the candidate's letter of application, you're too late and can no longer claim the bonus! The candidate sends us their curriculum vitae and a letter of application and mentions your name as the source of the information. Your candidate will be included in the application process in the usual way. Your participation in the bonus scheme does not guarantee that your candidate will be invited to interview for the job, or that they will get it. During the application process you will hear nothing for a while. Once the application process has been completed, we will let you know whether or not we have employed your candidate. In accordance with privacy requirements, we will not give any further information about our decision. After the candidate your proposed has successfully completed the probation period and has been contracted by Wärtsilä, you will receive your bonus within two months. Mention a Wärtsilä vacancy to an acquaintance. Following their probation period, you receive 1500 euros. Comply with the game rules.